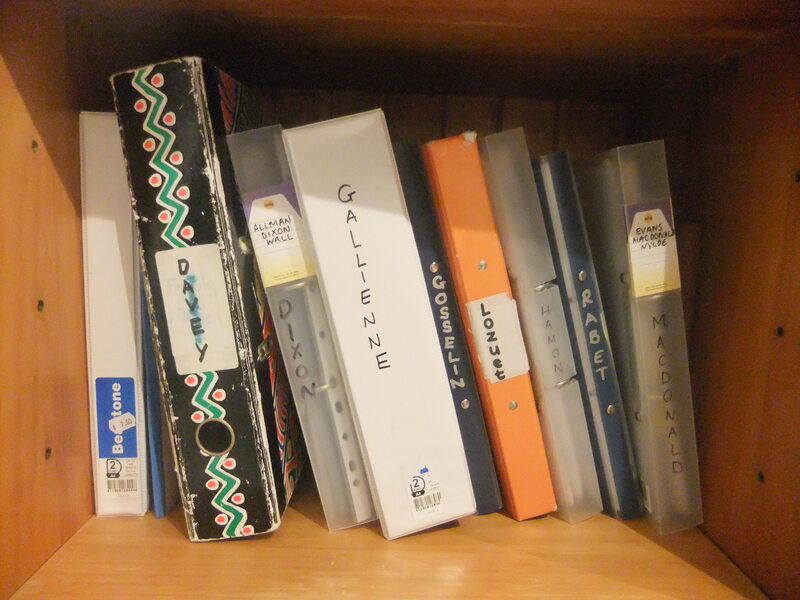 My archiving system which has grown from one folder to nearly ten over the past 20 years. 1789 – The start of the First French Revolution. Jersey appears to have been in sympathy with the insurgents. Thousands of French aristocrats flee to Jersey resulting in an enormous expansion in the size of St. Hélier. ( A brief History of Jersey – www.tonylesauteur.com) Was your ancestor a French aristocrat? 1829 – The Metropolitan Police were formed in London. 1832 – Cholera Epidemic in Jersey Did some of your ancestors die around this date? Could they have they died of Cholera? 1837 – A riot took place in Halkett Place ”when disappointed oyster fishermen stormed the street after their petition protesting at the re-election of lieutenant Spark as Inspector of Oyster Fisheries was rejected in the States by one vote” (This is Jersey – Temps Passe) Was your Jersey ancestor an Oyster Fisherman at this time? 1848 – Sir John Hobhouse, a leading politician in the UK, decided to spend his holidays in Jersey, he found himself staying in accommodation near a house where he soon discovered cholera was rife. (This is Jersey) Did any of your ancestors die around 1848? Did you know what they died of? 1852 – Victoria College building was completed and opened. 1899 – On the 30th March 1899 the London and South Western steamer, the ‘Stella’ sank on it’s way to Guernsey and Jersey. It hit the rocks off Alderney’s coast and sank within 15 minutes. 86 passengers and 19 crew died. The Wreck of the Stella – Titanic of the Channel Islands Among the drowned was a W. Davey, I have yet to confirm whether or not he is a relation. He was the son of Capt. Davey of the brig ‘Union’. Were any of your ancestors among the dead? 1901 – The 1901 Census for the Channel Islands was taken on the night of 31 March 1901. 1911 – Many women were not in the 1911 census due to ‘suffragette’ tendencies or beliefs. Is this why you can’t find a particular female at this time? 1921 – King George V, Queen Mary and Princess Mary visited Jersey. Were any of your ancestors baptised with the name ‘George’ during this Kings reign? Excellent organisation which mirrors my own bar the colour coding (My France is blue, CI red and rest of world green lol) So important to have some sort of method and filing procedure. I really need to update it a bit. I find having a timeline really useful when researching my ancestors as it gives me some kind of perspective as to what was going on in their times.